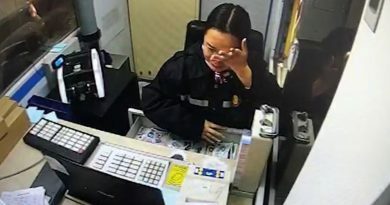 This is the moment a drunk man vomits on the floor of a public bus before his friends attack the driver when he complains about the mess. 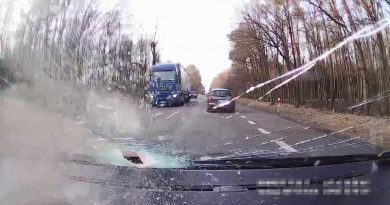 The incident was filmed by the bus’ security camera in the central Polish capital Warsaw and posted online. 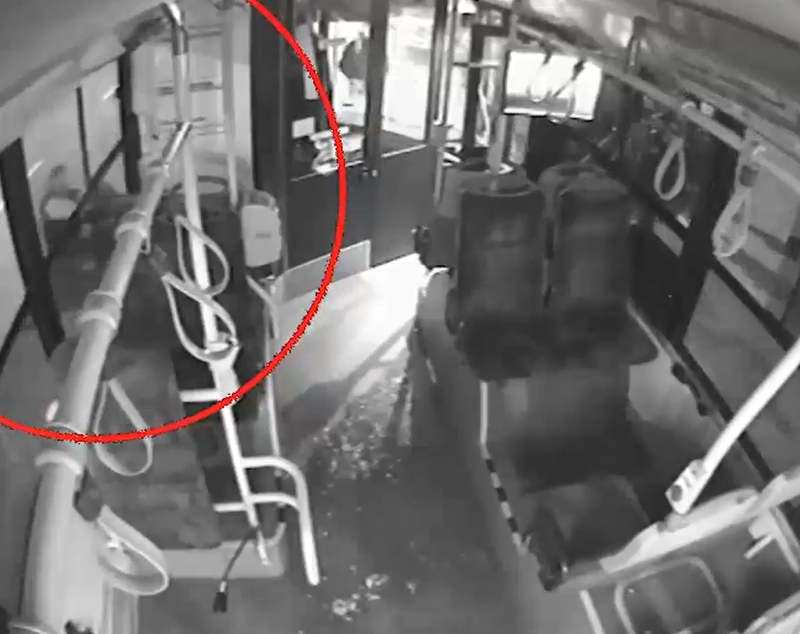 In the footage, which took place on Marszalkowska Street – one of the main thoroughfares through the city centre – a young man wearing glasses is seen getting to his feet to be sick in the aisle. His pals are supportive at first, but when the yob is sick on the floor again, one walks away and another tries to open a window. 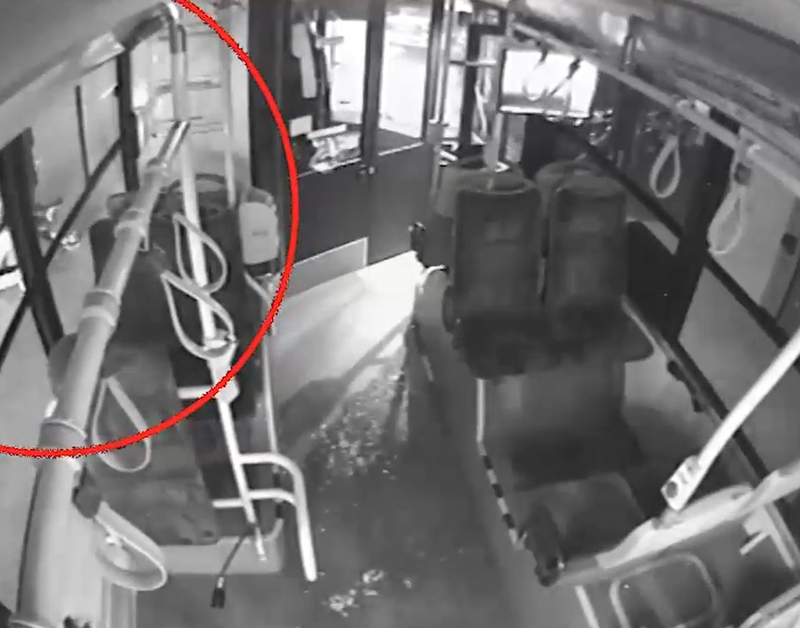 In the next scene when the bus is stationary, the driver is seen complaining to one of the youths about the vomit piles on the floor before leaving the bus to confront the culprit outside. 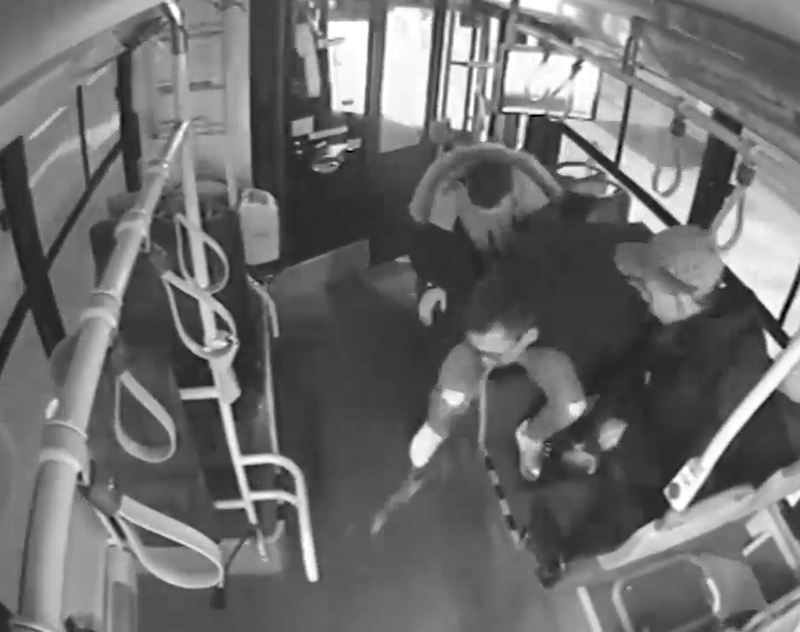 Several scuffles are visible through the bus windows, although it is unclear who is fighting who. 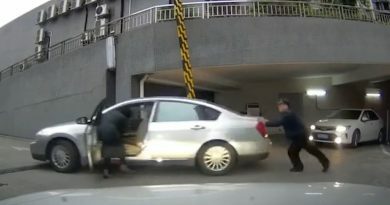 However, at the end of the clip the driver is seen being thrown to the ground by one youth, who manages to get on top of him and appears to pummel him. Reports said that the youths attacked the driver and another passenger when they complained about their inappropriate conduct. Police are trying to find the young men, who were drunk according to police quoted in local media, and have asked members of the public to come forwards with information.